What makes a good stocking stuffer in our tech-obsessed era? Tech accessories are the perfect answer, offering a budget-friendly way to make anyone's favorite tech toys shine without breaking the bank. Here are our favorite high-tech stocking stuffers this year, all under $50. The Consumer Technology Association expects headphones to be the most popular tech gift this year, and with good reason. So many of us take a new phone out of the box and then use the headset that comes with it, a solution that rarely provides quality sound. A decent upgrade doesn't have to cost a bundle, and Monster offers two great budget-friendly options. If a standard set of earbuds is what you're looking for, get the ClarityHD High-Performance Earbuds, which are designed to be a big step up from what comes in the box with your phone. Soft ear tips in three different sizes fit any ear perfectly, unlike the hard plastic earbuds that typically come with a new smartphone. These offer noise isolation, so you hear music and nothing else. These earbuds are built to last, with reinforcement at stress points like where the cable connects to the earbuds, a spot where most earbuds fall apart sooner rather than later. The flat cable is tangle-free to help you avoid knotted cable frustrations. An in-line microphone on the cord lets you take calls. High-end sound quality for both music and calls rounds out the feature set to create a great set of headphones at a stocking-stuffer price. Depending on the color — they're available in white, red and lime green — they can retail for under $30. For listening with friends, a portable speaker is the answer. But the definition of "portable" can vary. A speaker that weighs you down is a speaker that will probably never leave the house. The SuperStar HotShot is Monster's most compact portable speaker, weighing just 4 ounces with a triangular body that measures 3.5 inches by 3 inches by 2 inches. Though this speaker is a bit too big to be pocketable, it's just the right size to toss in your beach bag or attach to a backpack with the included carabiner hook. It connects with your mobile device via Bluetooth, one-tap NFC, or a 3.5mm stereo cable if you'd rather go the analog route. Five-hour battery life means it can pump out tunes for a whole afternoon at the beach or in the backyard. And if you want to talk rather than listen, it also makes a great speakerphone. Fans of traditional wired headphones may run into a new problem: a number of the latest smartphones ship sans a 3.5mm audio connector. These phones include the iPhone 7, the Google Pixel and the Moto Z. A design without a headphone jack provides more space inside the phone for a battery — which we definitely approve of — but it can be frustrating to find your favorite pair of wired headphones is now obsolete. Griffin's iTrip Clip solves that problem. As the name implies, it's a tiny clip (just 0.05 ounces) you attach to your shirt and plug your headphones into. 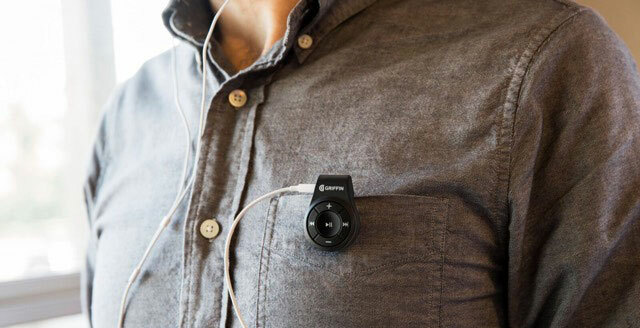 The Clip connects to your phone via low-energy Bluetooth for easy listening without an all-new headset. 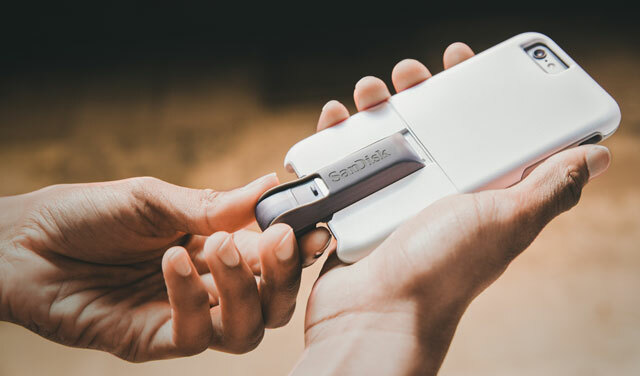 The Clip includes standard audio controls (play/pause, forward, back and volume), so your phone can stay in your pocket or purse while you enjoy complete control. 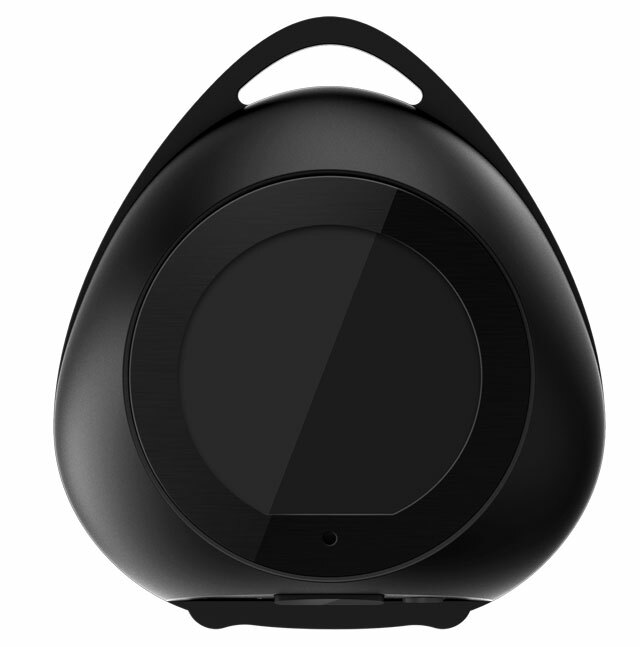 A built-in microphone makes the device perfect for hands-free calling, too. You'll enjoy one surprise benefit of ditching the headphone jack: no more tangled cables! Clip plays tunes for six hours between charges, enough to get you through the morning jog or most of the work day. When it runs dry, it's easy to recharge via USB. No matter how careful you are, it's easy to slip up and drop your smartphone. Some 34 percent of people in the United States have done it at least once. A fall onto a hard floor can mean the tragic death (and pricey replacement) of any new smartphone. But a good case keeps your smartphone safe no matter how many times you fumble it — and anyone will appreciate a gift that could save their phone. OtterBox is the top brand for tough smartphone cases, with drop protection and case designs that have withstood over 238 hours of torture testing. But keeping your phone safe isn't enough for a great case anymore, and our favorite OtterBox delivers more than just protection. The modular uniVERSE Case System (currently for iPhone 6 and 7 models and the larger iPhone Plus) lets you add other gadgets to your phone. The case is a slim wraparound style in basic black, but the magic is in a slot in the back where you can plug in a variety of attachments. Easily add an extra battery pack, a speaker, improved camera lenses, a car mount, a flash drive for expanded storage or more. All of these extras attach securely to your case, so there's no chance of losing them, though because of the way they're connected, you can only use one at a time. It's one case with endless options. If an adapter for your existing headphones just doesn't appeal, it's time to pick up new headphones. Bluetooth is a good option here. Unlike the Lightning port that's the only plug-in option on iPhone 7 models, Bluetooth is supported by just about everything. These JVC Gumy earbuds are tiny — small enough to fit in your pocket — but pack great sound quality and a full set of features into a petite package. Their in-ear design uses a "nozzle-fit" you won't find on other earbuds, with a triangular shape that fits snugly and comfortably in your ear. They'll stay in place even when you're working out. Their sweat-proof design makes them a good choice for exercise, and they won't weigh you down or leave you tangled in wires. Seven-hour battery life means they'll keep playing during your longest workouts or the better part of a work day. These earbuds are a bit large, which leaves room for controls. The outside of the earbud provides three buttons: volume control, play/pause and navigating tracks. A wire connects the two earbuds, so they aren't completely wireless, though they don't connect to your phone. An in-line microphone lets you take calls. Though their looks won't stand out, four color options (black, white, pink and blue) let you customize your look at least a little.